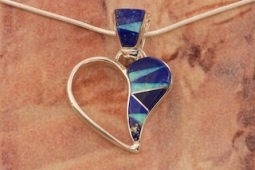 Stunning Heart Pendant featuring Genuine Blue Lapis with accents of Fire & Ice Lab Opals inlaid between ribbons of Sterling Silver. Free 18" Sterling Silver Chain with Purchase of Pendant. 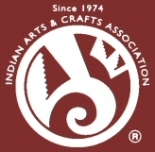 Designed by Navajo Artist Calvin Begay. Signed by the artist.